Wilson Lourenco has recently described a new species of Brotheochactas Pocock, 1893 (Chactidae) from Brazilian Amazonia. 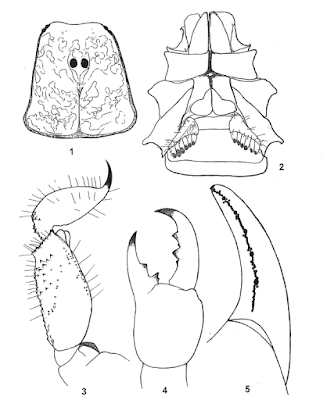 A new contribution to the knowledge of the scorpions belonging to the genus Broteochactas Pocock, 1893 is proposed and a new species is described, Broteochactas purus sp. n., based on one female specimen collected in the region of Beruri near the River Purus in the State of Amazonas, Brazil. The new species is characterized by a small size, an intense reddish to reddish yellow coloration, body and appendages with punctation and metasomal segment V and telson with conspicuous spinoid granulations. Lourenco WR. 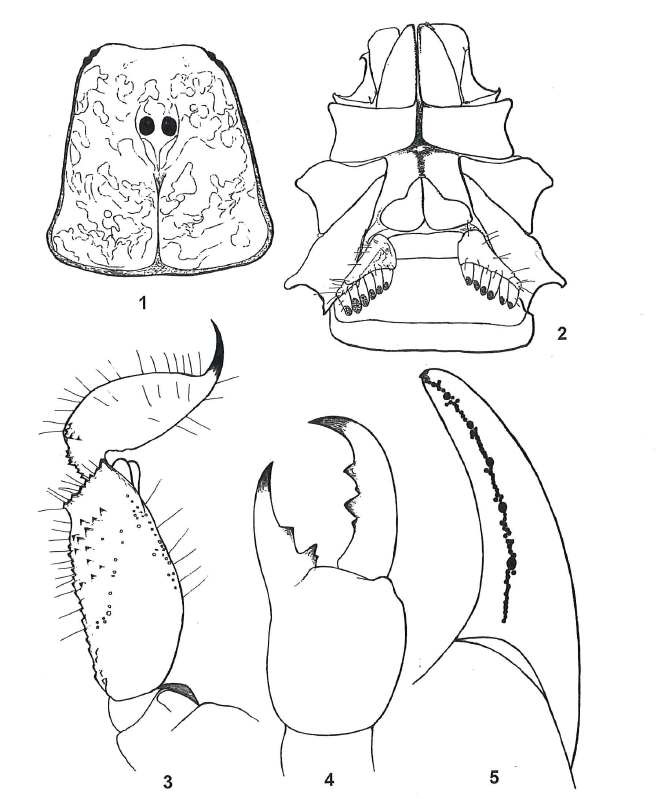 One more new species of Broteochactas Pocock, 1893 (Scorpiones: Chactidae) from Brazilian Amazonia. Revista Iberica de Arachnologia. 2017(30):11-4.